With From Software’s hugely anticipated ninja action title Sekiro: Shadows Die Twice rapidly nearing its March 22nd launch, the developer is starting to shed some light on the game’s more mysterious systems – and this time it’s the turn of player progression. According to Game Informer, in conversation with Yasuhiro Kitao, From’s manager of marketing and communications, player progression is yet another area of Sekiro in which the studio is actively moving away from the (perhaps overly) familiar template of Dark Souls and Bloodborne. While those games, with their heavy RPG stylings, offered enormous breadth in the way that a character’s abilities could be personalised – by piling Souls or Blood Echoes into a wide variety of stats – Sekiro is far more concerned with focussed depth. The first major departure from Dark Souls and Bloodborne is that currency (used to purchase new equipment) and XP (used to expand your abilities) are now distinct elements – and, notably, neither is dropped on death, meaning that corpse runs are also a thing of the past. XP, as you might imagine, is earned by defeating enemies and gradually fills a bar which, when maxed, will grant players one skill point. Points can then be spend to unlock more abilities in a skill tree. Upgrades can be performed while resting at Sculptor’s Idols (similar in purpose to Dark Souls’ bonfires), and a variety of skill trees are available – each based around a particular play-style and offering a focussed set of customisation options. The Samurai tree, for instance, features upgrades tailored toward direct attacks, while the Shinobi tree deals in more evasive manoeuvres and a third concentrates on improving your prosthetic arm. Some upgrades are passive buffs, while others are Combat Arts, which can be triggered on command. From says the intention is to allow players to be “more creative and find [their] preferred ninja style”, while also needing to specialise and “think [about] which path you want to take”. Additionally, by reining in the breadth of possible character permutations, From says that it has been able to increase the depth of individual encounters, be they standard enemies or boss fights, as they no longer need be designed to accomodate a wide range of play-styles. 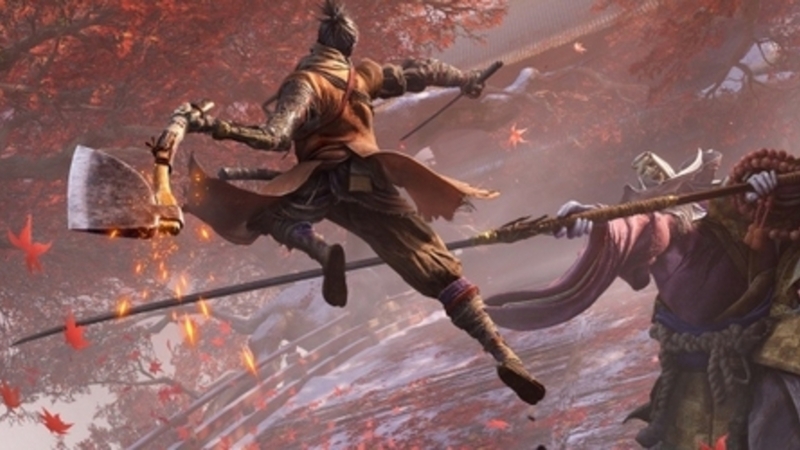 Although Sekiro’s progression system doesn’t sound especially revelatory on paper (plenty of games, Assassin’s Creed Odyssey as a recent example, use similar skill trees), there are hints that differences will materialise through From’s typically more subversive execution. Skill trees, for instance, can only be accessed once certain items have been found around the game world, and other customisation opportunities will arise through more thorough exploration. Increasing your health, for instance, requires locating prayer beads, and it’s possible to stumble upon tools that can further expand your prosthetic arm abilities, as well as means of enhancing the resurrection system at the heart of the game. With Sekiro: Shadows Die Twice (which impressed Eurogamer’s Aoife Wilson enormously at last year’s E3) scheduled to hit PC, PS4, and Xbox One on March 22nd, we can probably expect at least a few more of its mysteries to be revealed soon.